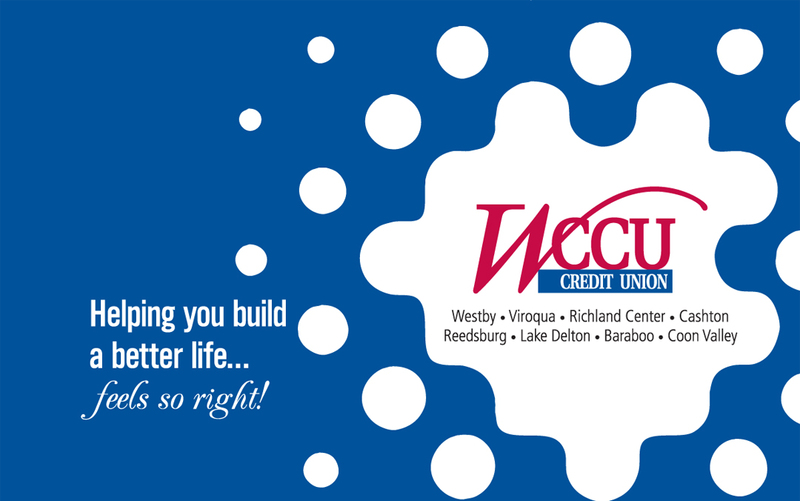 No matter what your personal needs are, WCCU is there to help you spend, save, manage, invest and make money. This fast growing financial institute came to us for a fresh identity to be used in every branch across Wisconsin. The branding we developed is modern, eye-catching, consistent through their marketing materials and make them shine! Bold color, dynamic graphics, engaging photos and clean design is found in every piece. This client decided to go big! We even designed, produced, and installed large scale wall graphics that carry the brand into the very lobby of their locations. 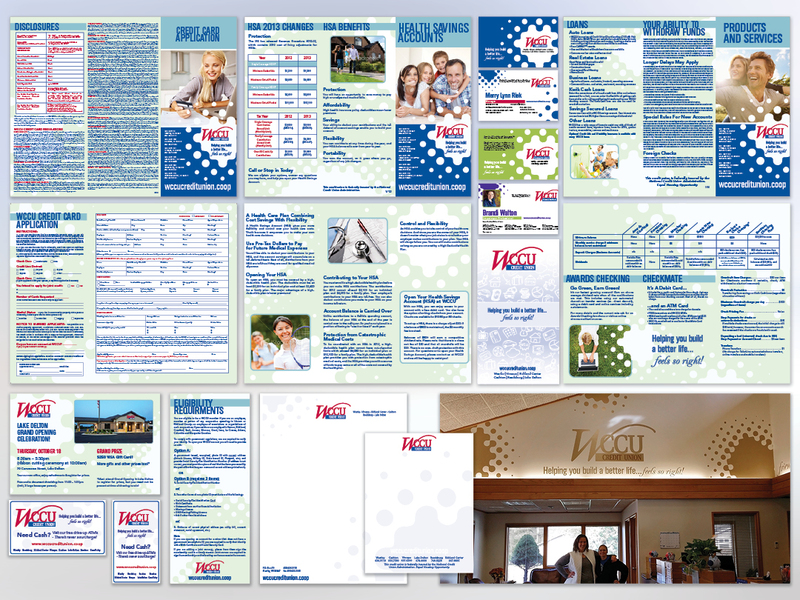 Credit Card Applications, Product & Services Brochures, Rack Cards, Rate Sheets, Note Pads, Teller Line Announcements, Newspaper Ads, Letterhead, Business Cards, Wall Graphics, Professional Head-shots and more make up the pieces we designed for WCCU. Just imagine what we can do for you!